Dr. Richard Barke is an Associate Professor in the School of Public Policy. He received his BS in Physics from the Georgia Institute of Technology and his MA and PhD in Political Science from the University of Rochester. His recent research interests focus on the regulation of risk, the roles of politics within science, and of science within politics. 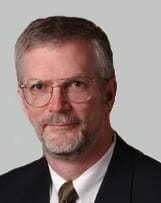 Dr. Barke has written about topics such as the political behavior of scientific disciplines, the impact of university curricula on the organization and advancement of scientific knowledge, the politics of science budgeting in Congress, and how scientists translate scientific findings into policy recommendations. Recent works involve the decision making processes by which science and ethics are reconciled in the regulation of research, particularly research involving human subjects and in nanotechnology. Currently he is writing a book with Kristie Champlin Gurley about obstacles to long-term policy making.